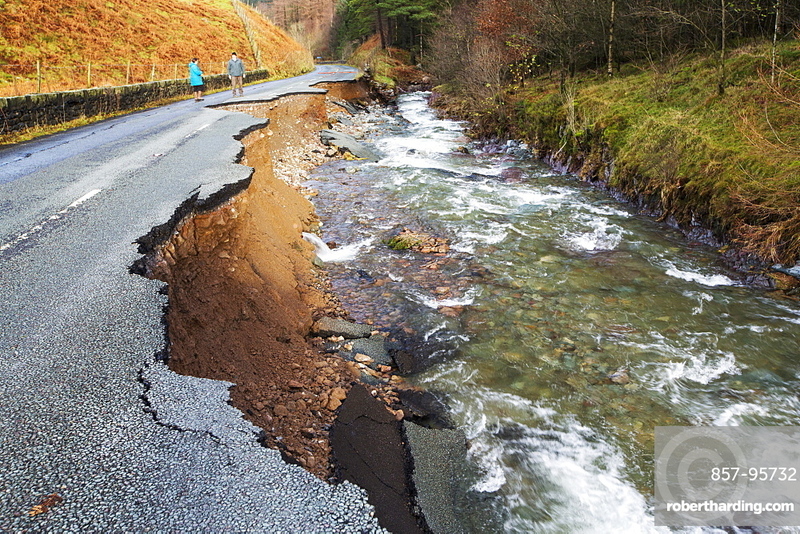 The A591, the main road through the Lake District, completely destroyed by the floods from Storm Desmond, Cumbria, UK. The road was breached in several places by landslides and walls of flood debris twenty feet high. the road will probably be closed for months. Taken on Sunday 6th December 2015.